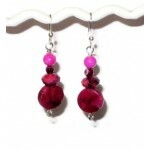 If fuchsia is a color that makes you pop, this fuchsia beaded bracelet set could be perfect for you. The bracelet features a crazy lace agate bead in the center, which is enhanced with faceted and smooth jade beads. It is finished with a silver-plated lobster clasp and extender. It can be extended from 6 3/4 to 8 inches. 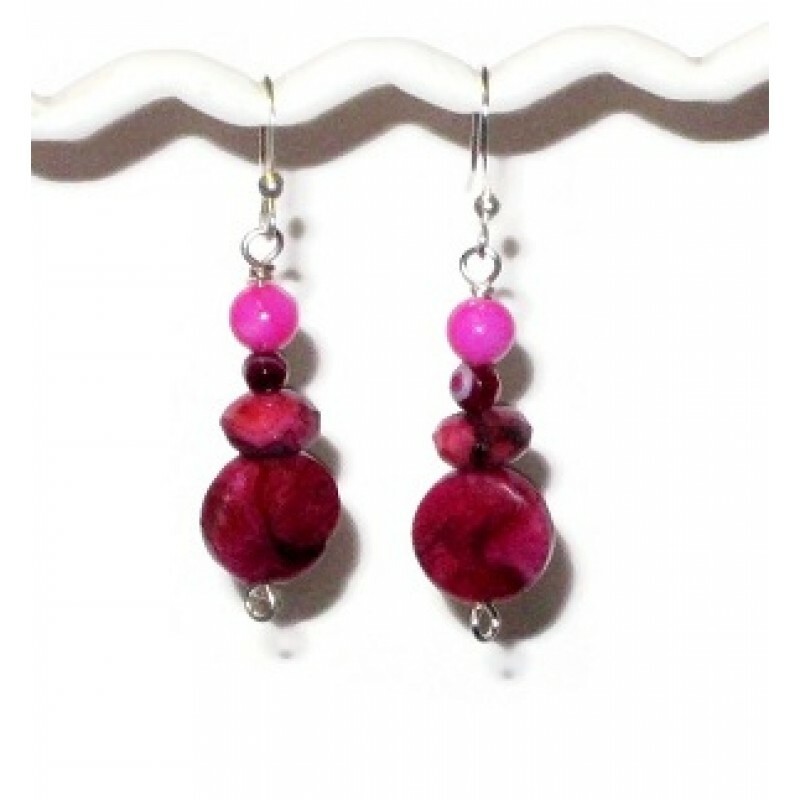 The matching dangle earrings measure 1 7/8 inches, which include the silver-plated earwires.